Simultaneously, massive wildfires are blazing, the earth is shaking, Nancy Pelosi and Jerry Brown are governing. 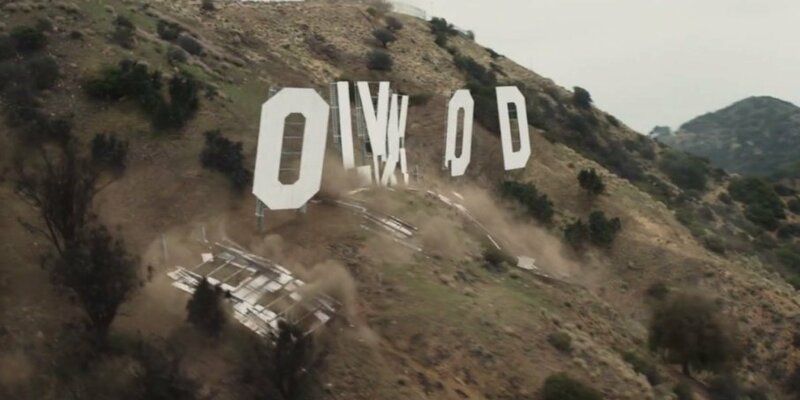 No, this is not a Hollywood disaster film, it's actually happening in California. It appears that something unusual is happening along the California coastline. Over the past 24 hours, California has been hit by 46 earthquakes. That is approximately twice the normal daily number, and much of the shaking has taken place in the southern part of the state. In recent weeks I have been writing repeatedly about the alarming seismic activity that we have been seeing along the west coast, and many believe that the potential for a megaquake is significantly higher than normal right now. Unfortunately, most residents of California are not paying any attention to what is going on at all, and so if there is a major event they will be completely blindsided by it. Of course Julian is not the only one that has seen a substantial earthquake over the past 24 hours. Just 6 hours ago, a magnitude 3.2 earthquake struck Gonzales, California. Anything in the magnitude 3 or magnitude 4 range is not going to cause any significant damage, but the concern is that these smaller quakes may be building up to something larger. In a 2008 study, the US Geological Survey found there’s a greater than 99% chance of a 6.7 magnitude quake or larger hitting the California area over the next 30 years. That type of quake along the San Andreas Fault in Southern California could kill an estimated 1,800 people, the study said, injure 53,000 and result in $214 billion in damage. California’s infrastructure could be crippled for weeks, if not months. Such an event would definitely be catastrophic, but California could definitely recover.However, if the California coastline were to be hit by a magnitude 9.0 earthquake, the devastation would be unlike anything that we have ever seen before in American history. And remember, a magnitude 9.0 earthquake would be far, far worse than a magnitude 8.2 earthquake. At the same time all of this shaking has been happening in California, we have also seen very disturbing seismic activity elsewhere on the globe. A Siberian super-volcano is worrying scientists after it’s shocking and sudden eruption flung hot ash six miles into the sky. This volcano is one of the most active in Russia. Scientists working at the geophysical department of the Russian Academy of Science in north-eastern Russia’s Kamchatka Krai region have confirmed the giant eruption took place at the site of the Shiveluch Volcano yesterday over a 20 minute period. They also verified and saw the volcano spew piping hot ash 10 kilometers (6 miles) into the sky. So far, no locals or villages have been affected by this volcano’s eruption, but it’s sparking fears that a larger and more powerful explosion could occur in the very near future. A major eruption of just a single supervolcano anywhere in the world could cast enormous amounts of dust and ash into the atmosphere and cool global temperatures significantly for up to a decade. If that happened, we would see massive crop failures all over the planet and millions upon millions of people could end up dying from the resulting famine. With each passing year our planet is becoming increasingly unstable, and scientists assure us that absolutely cataclysmic seismic events are in our future. Now is the time to get prepared, but unfortunately most people aren’t listening to the warnings.